GIMP is a clear cut alternative rival to the other photo and image editing software available on the market. 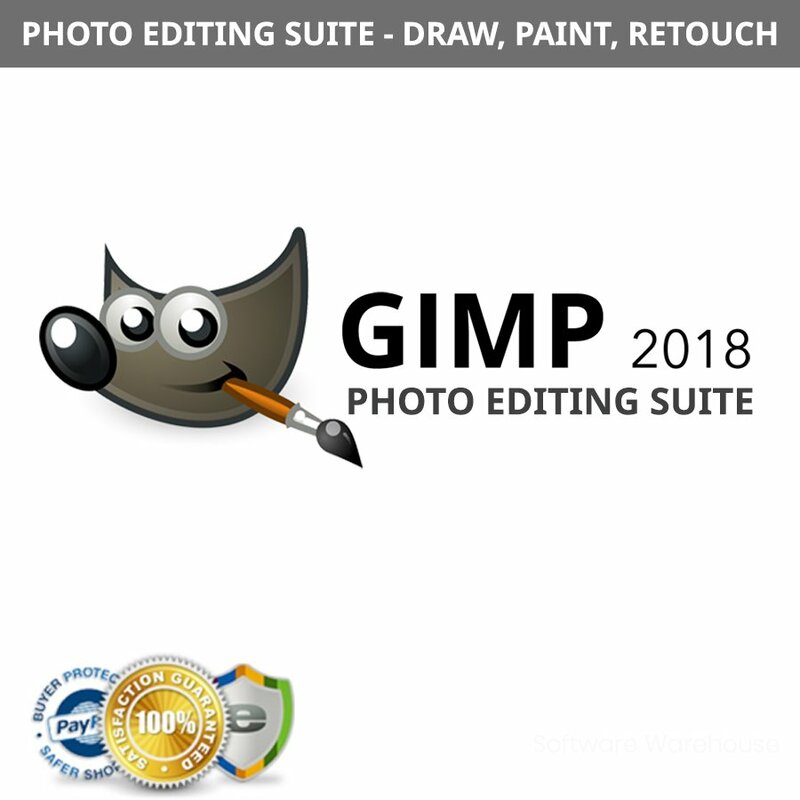 GIMP can be used used for image retouching and editing, free-form drawing, cropping, color adjustments, digital design and converting between different image formats (PSD, PNG, JPEG, BMP, TIFF etc.) GIMP works on both Windows and Mac, your purchase includes both versions. It’s offered at a competitive low cost! Similar photo editing software costs upwards of $700 for just a single license per machine, our version only costs $15 and is licensed to be used on multiple machines! GIMP is a much smaller install, about 20x smaller then similar software. 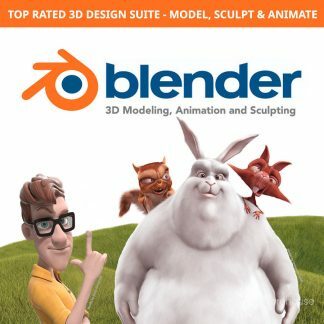 Not only does the install go much quicker, but it takes up far less hard drive space making it the perfect image editing software for laptops and netbooks where hard drive space may be at a premium. 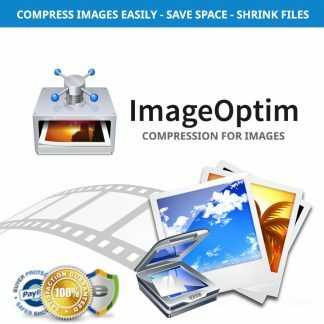 Other photo editing software can be extremely resource intensive, it will run on older hardware but it’s not optimized to and will be sluggish and slow in many instances. GIMP on the other hand is amazingly fast, fluid and stable. It will install on nearly any hardware running a Mac or Windows operating system environment. Gimp is user friendly. 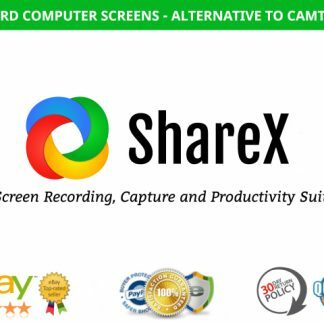 Similar other software was created for graphics and photographic editing, never just digital photo editing or graphics. Because of this the competing software can appear bloated with features and functions most photographers or designers don’t want or need. GIMP is customizable to closely match what software you’re familiar with and flexible to fit your needs. Batch processing through automated actions is far superior in GIMP. Because photographers often need to do repeatable actions to large groups of images, this feature alone is worth its weight in gold. GIMP can do it and do it like a champ! You can open, edit and save in PSD file format with GIMP. If you’re editing for someone else, it doesn’t matter if they’ve started the job in other software because GIMP can handle the file format and will work with your layers. Free upgrades for life! 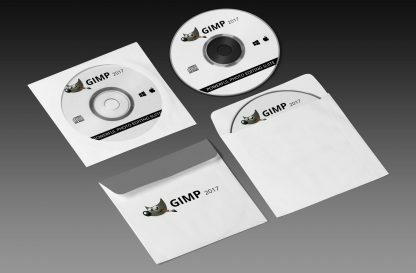 Not only is GIMP easy to install and use, but upgrades are always free! Some competing software upgrades, which happen on average every 12-18 months can cost as much as $200, on top of the original purchase price! That’s not to mention the new subscription based pricing structure that some photo editors have moved to which can cost upwards to $50 a month depending on how you select your subscription; Not with GIMP! Tools used to perform image editing can be accessed via the toolbox, through menus and dialogue windows. They include filters and brushes, as well as transformation, selection, layer and masking tools. There are several ways of selecting colors, including palettes, color choosers and using an eyedropper tool to select a colour on the canvas. The built-in color choosers include RGB/HSV selector or scales, water-color selector, CMYK selector and a color-wheel selector. Colors can also be selected using hexadecimal color codes as used in HTML color selection. GIMP has native support for indexed colour and RGB color spaces; other color spaces are supported using decomposition where each channel of the new color space becomes a black-and-white image. CMYK, LAB and HSV (hue, saturation, value) are supported this way. Color blending can be achieved using the Blend tool, by applying a gradient to the surface of an image and using GIMP’s color modes. Gradients are also integrated into tools such as the brush tool, when the user paints this way the output color slowly changes. There are a number of default gradients included with GIMP; a user can also create custom gradients with tools provided. Gradient plug-ins are also available. GIMP selection tools include a rectangular and circular selection tool, free select tool, and fuzzy select tool (also known as magic wand). More advanced selection tools include the select by color tool for selecting contiguous regions of colorâand the scissors select tool, which creates selections semi-automatically between areas of highly contrasting colors. GIMP also supports a quick mask mode where a user can use a brush to paint the area of a selection. Visibly this looks like a red colored overlay being added or removed. The foreground select tool is an implementation of Simple Interactive Object Extraction (SIOX) a method used to perform the extraction of foreground elements, such as a person or a tree in focus. The Paths Tool allows a user to create vectors (also known as Bezier Curves). Users can use paths to create complex selections, including around natural curves. They can paint (or “stroke”) the paths with brushes, patterns, or various line styles. Users can name and save paths for reuse. There are many tools that can be used for editing images in GIMP. The more common tools include a paint brush, pencil, airbrush, eraser and ink tools used to create new or blended pixels. The Bucket Fill tool can be used to fill a selection with a color or pattern. The Blend tool can be used to fill a selection with a color gradient. These color transitions can be applied to large regions or smaller custom path selections. Animation showing three docked and tabbed dialogs: layers, channels, and paths. An image being edited in GIMP can consist of many layers in a stack. The user manual suggests that “A good way to visualize a GIMP image is as a stack of transparencies,” where in GIMP terminology, each transparency is a layer. Each layer in an image is made up of several channels. In an RGB image, there are normally 3 or 4 channels, each consisting of a red, green and blue channel. Color sublayers look like slightly different gray images, but when put together they make a complete image. The fourth channel that may be part of a layer is the alpha channel (or layer mask). This channel measures opacity where a whole or part of an image can be completely visible, partially visible or invisible. Each layer has a layer mode that can be set to change the colors in the image. Text layers can be created using the text tool, allowing a user to write on an image. Text layers can be transformed in several ways, such as converting them to a path or selection. GIMP has approximately 150 standard effects and filters, including Drop Shadow, Blur, Motion Blur and Noise. GIMP operations can be automated with scripting languages. The Script-Fu is a Scheme-based language implemented using a TinyScheme interpreter built into GIMP. GIMP can also be scripted in Perl, Python (Python-Fu), or TCL, using interpreters external to GIMP. New features can be added to GIMP not only by changing program code (GIMP core), but also by creating plug-ins. These are external programs that are executed and controlled by the main GIMP program. MathMap is an example of a plug-in written in C.
There is support for several methods of sharpening and blurring images, including the blur and sharpen tool. The unsharp mask tool is used to sharpen an image selectively â it only sharpens areas of an image that are sufficiently detailed. The Unsharp Mask tool is considered to give more targeted results for photographs than a normal sharpening filter. The Selective Gaussian Blur tool works in a similar way, except it blurs areas of an image with little detail. The Generic Graphics Library (GEGL) was first introduced as part of GIMP on the 2.6 release of GIMP. This initial introduction does not yet exploit all of the capabilities of GEGL; as of the 2.6 release, GIMP can use GEGL to perform high bit-depth color operations; because of this less information is lost when performing color operations. When GEGL is fully integrated, GIMP will have a higher color bit depth and better non-destructive work-flow. Current distribution versions of GIMP only support 8-bit of color, which is much less than what e.g. digital cameras produce (12-bit or more). Full support for high bit depth is included with actual Gimp 2.9 Development version. For accelerations OpenCL is available for some operations. 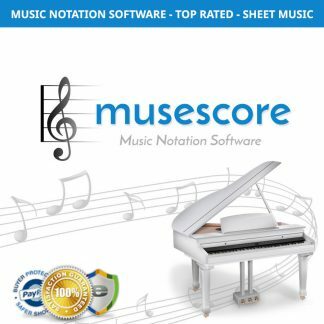 Software Warehouse is an authorized community distributor of this software. We are authorized to distribute this software by the Intellectual Property Owner. This software is licensed under the GNU General Public License and Lesser General Public License (GPL & LGPL). No copyrights have been violated.